Thank you for your interest in the IU School of Optometry, where visionary leaders are made. Houses one of the only labs in the world looking at infants and children with amblyopia. IUSO students have many opportunities to work alongside these leading researchers. Features externship site faculty that are nationally recognized leaders in their profession. Their ranks include state, national and international leaders in optometric professional organizations. Boasts a faculty member who wrote the #1 most widely used text in the world for Ophthalmic Optics. Has consistently ranked #1 or #2 in residency matches and placement for the past five years. Where you receive your degree matters. Has a 4-1 student to faculty ratio. You will have open access to faculty and will get to know them on a personal level. Works in partnership with the Kelley School of Business- the #1 online School of Business degree in the country. Greatest number of Clinical Faculty to be selected to lecture at the prestigious American Academy of Optometry. 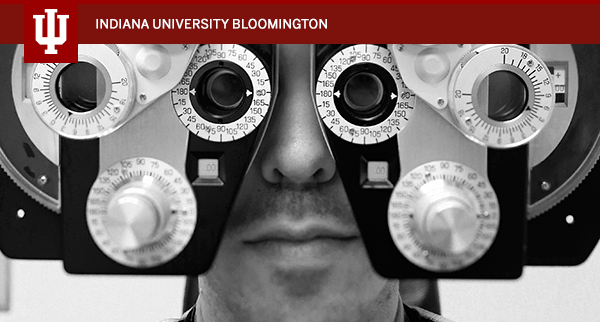 You will find these as well as other exceptional opportunities at only one Optometry School—Indiana University. We don’t just graduate Doctors of Optometry—we graduate tomorrow’s leaders who will make a difference in vision care for the world.